Pro Mailing Systems has the computer and address software capabilities to handle and accept almost any type of file. We stay informed of changing postal regulations, rates, and technology. 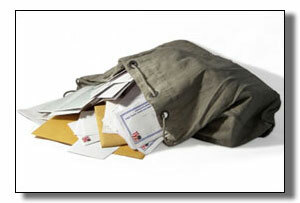 This enables us to offer the best postal discounts available; and to deliver your mail fast and efficiently. Pro Mailing Systems also maintains various local area mailing lists. Locally we can pinpoint almost down to the exact neighborhood you may wish to mail too. We also have an up-to-date business list and tax property list. We also work with a reliable list broker to help you get the list you need to get your direct mail campaign off to a good start. Give us a call or email today to get your questions answered on procuring a list for your next mailing project.